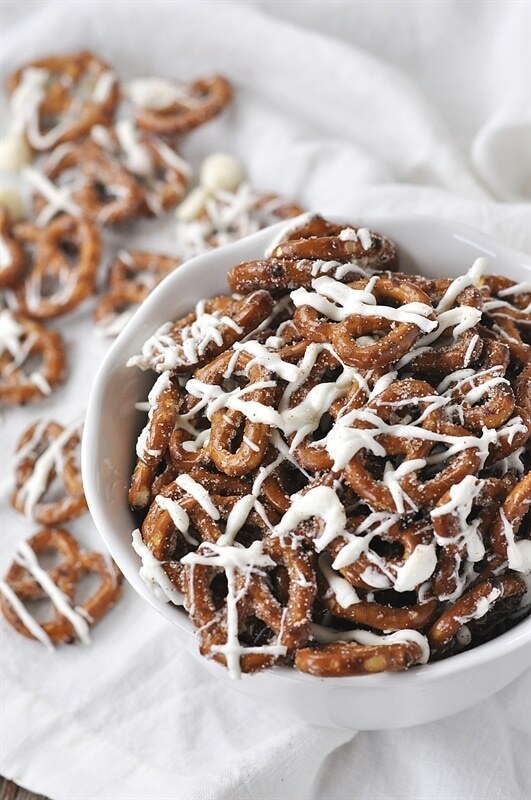 White Chocolate Cinnamon Pretzels are the easiest and the yummiest Christmas treat ever! They are a favorite I make every year. 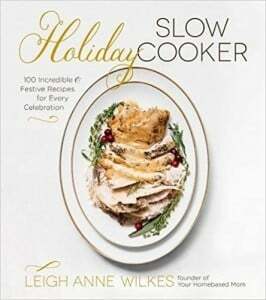 Do you have your holiday baking done yet? No? Don’t stress any longer I have you covered. 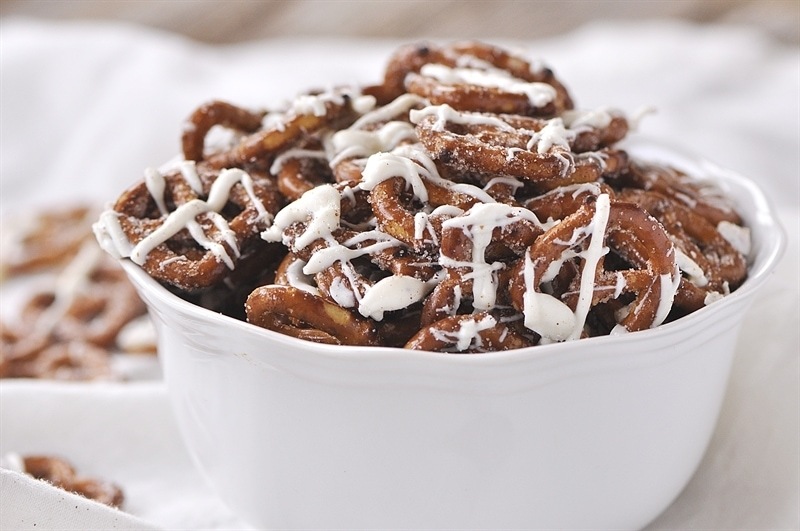 White Chocolate Cinnamon Pretzels are the perfect solution. They are quick, there is no baking involved (only the microwave), they are super fast to make and they are DELICIOUS!! I can’t stop eating these things and I only end up giving away half of what I make because I personally, by myself, eat the other half!! I shared this recipe back in 2008 right after I started my blog and they so deserved a facelift and I couldn’t leave them hidden in the archives any more. They are that good. When I visit my college kids or family in Utah I have a list of stores I always visit. One of the stores is a cute little gift shop with all kinds of fun goodies. They make an amazing selection of different flavored popcorn and pretzels. My favorite, and the one I always buy a bag or two of is their White Chocolate Cinnamon pretzels. I love them! So of course, I had to see if I could figure out a way to make them at home. I got on the computer and looked around a bit. I came across this recipe over at cd kitchen and used it as a starting place. I changed it a bit and they turned out perfect! I think they taste exactly like the ones I buy!! I love it when that happens!! 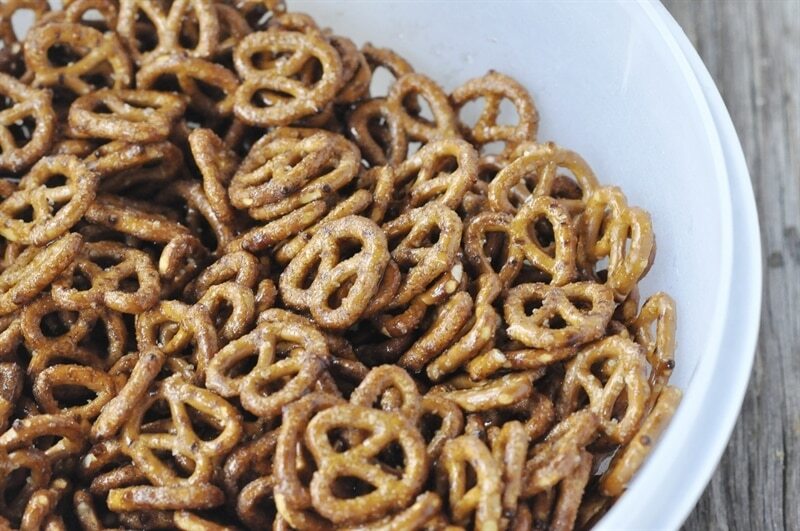 All you need is a bag of pretzels, some white chocolate, vegetable oil and cinnamon sugar. Yes, that easy. Mix all of that into a big plastic or glass bowl that will fit in your microwave. 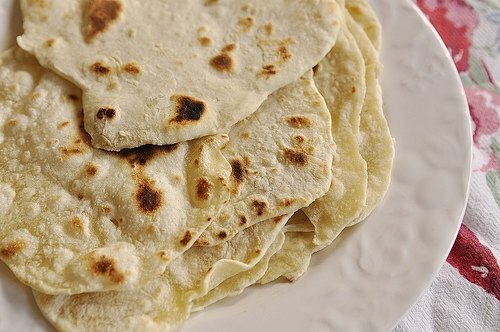 The “bake” them in the microwave for 3 minutes. Then spread them into a single layer on baking sheets. Sprinkle with some additional cinnamon sugar. 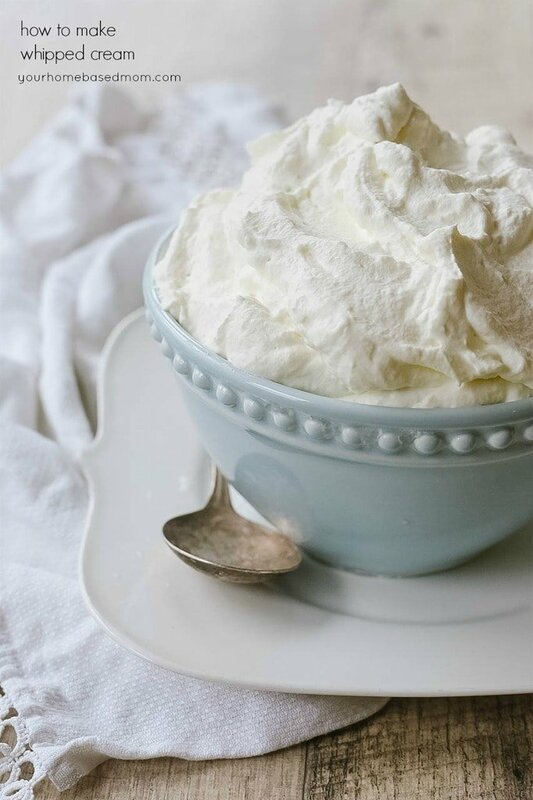 Then the best part – drizzle them with melted white chocolate! The more the merrier!!! I made a batch on Sunday when we were snowed and iced in and church was cancelled. We are now on our third day of snow and ice (very unusal for Portland) and school has been cancelled for three days! As a result, I now need to make another batch to give away to friends as I have managed to munch my way through a good part of the batch I made on Sunday!! Then if you haven’t eaten them all, wrap them up in a little cellophane bag, tie some ribbon and share with friends. Now I just need to go make another batch so I have something to give away!!! This looks super! I was just searching for “snacks” that might work to ship overseas. I’ve copied it to make. Thank you! Looks so yummy! Thanks for all the super ideas. . . . . These were a hit at my house! My son and I made two batches. Most was to share but we ate a good bit too. It was just what I needed for some last minute gifts. Thank you so much for sharing the recipe with us! 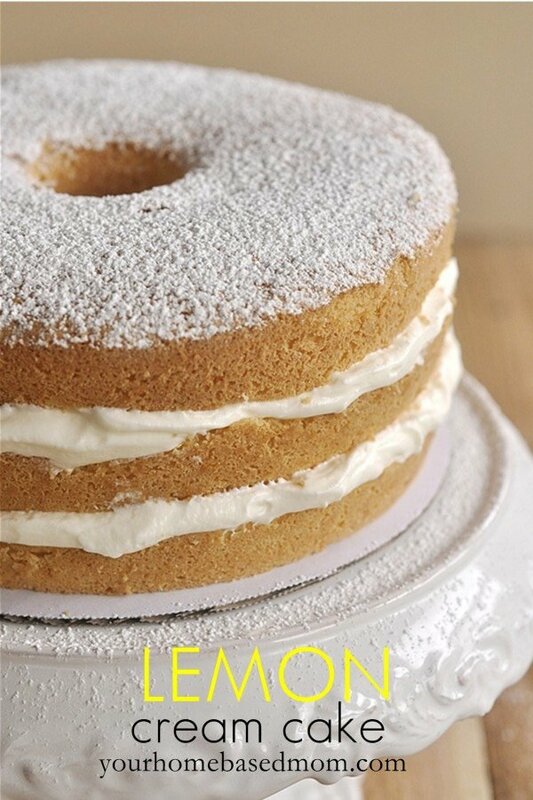 I now need to make another batch because we have eaten so many of them – that’s what happens when you get snowed in!! Glad you all enjoyed them!! Wow, these sound amazing! I will definitely be making these for Christmas gifts this year! 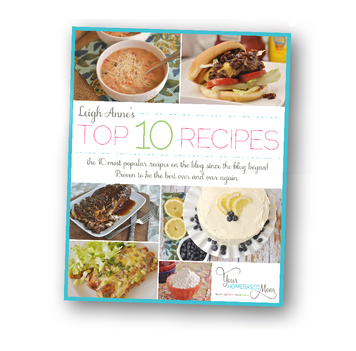 I love your site and visit it often – you have such great recipes and ideas! My daughters and I are snowed in today (we live in New Jersey) and have decided to make your Cinnamon Toast Pretzels. One quick question, though – what type of oil do you use? Just regular vegetable oil? Or do you suggest another type? Please let me know. We can’t wait to try your recipe! I use vegetable oil – have fun!! Ooooo! What a great idea. I am always looking for new fun things to make for gifts. I feel like I can give a little more with the small amount of money I have to spend. It is so much more fun to give things that come from the heart. Thanks for the recipe. I will make them tonight! Awesome! Easy for this non-cooking mommy to make and they are delicious! I do need a bigger microwave-safe bowl, however. I tried this pretzel recipe yesterday. 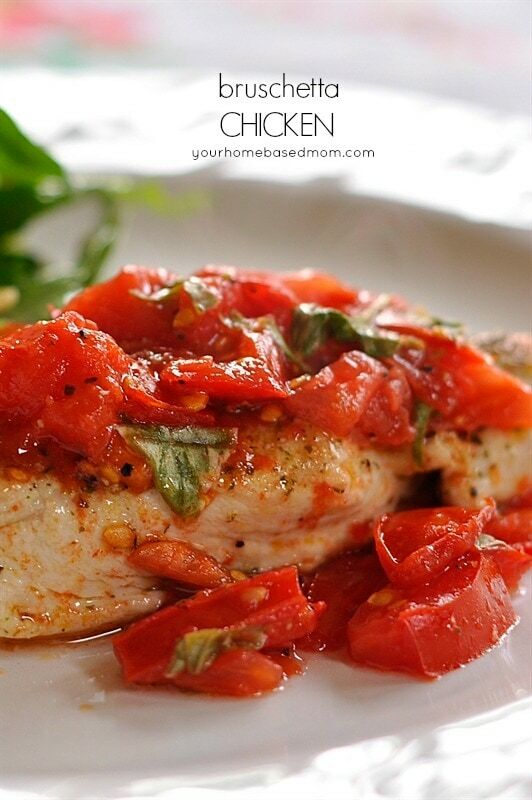 Yum, yummy… so good and so easy. Thanks for this quick recipe. Thanks Leigh Anne! 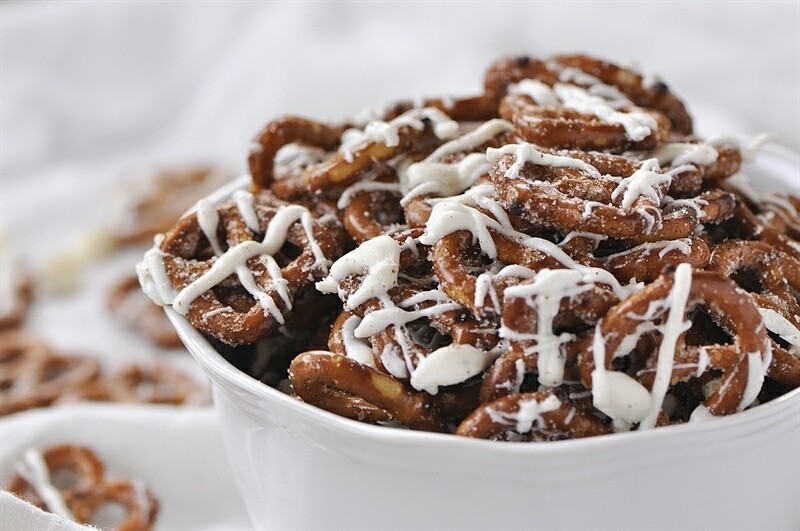 I used this pretzel recipe AND another one from your blog (white chocolate popcorn) for my neighbor gifts this year. It was fun to take something different and it was easy enough that my kids had fun helping me make all the preparations. We packaged them in some cute little red buckets. Very fun! Thanks for the great ideas. I’ve been wanting to make these since you’ve posted them, I even have all the pretzels here waiting but I get distracted. My wonmderful SIL Mindy made them the other day and brought over 2 ziploc bags FULL. UM, I ate them both!!!!!! They were so good and addictive, I don’t think I can make them ever. No self control and my pants are tight enough. Sounds SUPER yummy. I am going to have to add this to my list of goodies this year. 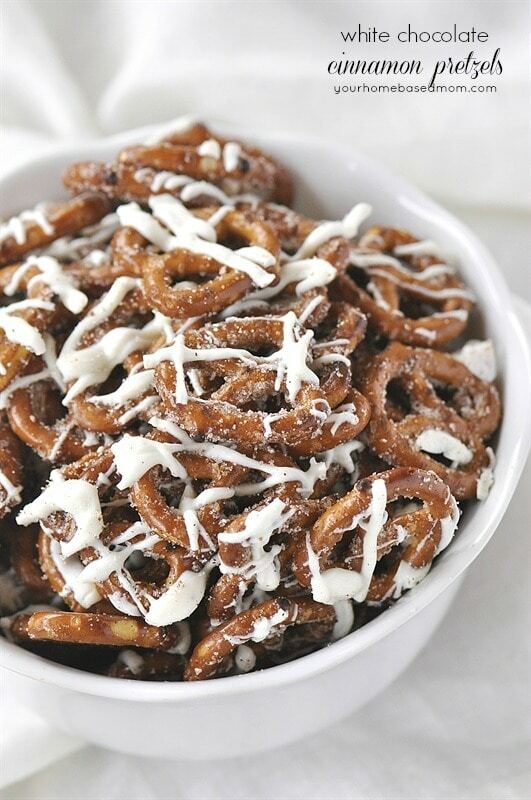 Can’t wait to give them a try…my daughter loves pretzels covered with anything. Thanks! I can’t wait to make a batch of these! Thanks for sharing! Ok, these are on my list now too. You need to open a little shoppe & sell all your fabu foods! These sound amazing! I have to try them out soon. 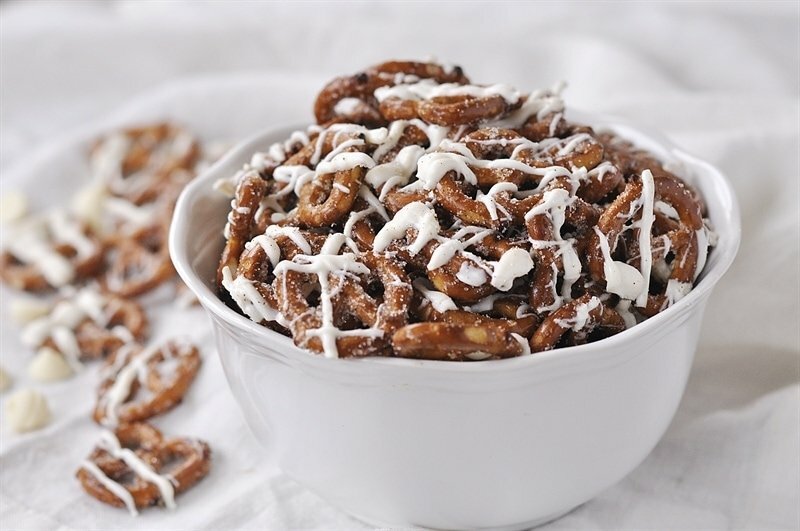 I found holiday shaped pretzels (Utz, for those of you who live in the NorthEast) to use — it looks great and makes it even more festive. How m uch chocolate did you melt for the one bag of pretzels? Probably was about 2 cups of chocolate melts. Did you use chips like like nestles vanilla chips, or wilton candy melts, would like to try them but I need to be sure I get the right ones. I use the Wilton Melts and I also buy the melting chips from the bulk section of Winco and they work great too! Can you give me the name of the little gift shop? It’s Simply Splendid. It’s on State Street out in Orem or Lindon – tucked back in the corner of a shopping center Have fun! 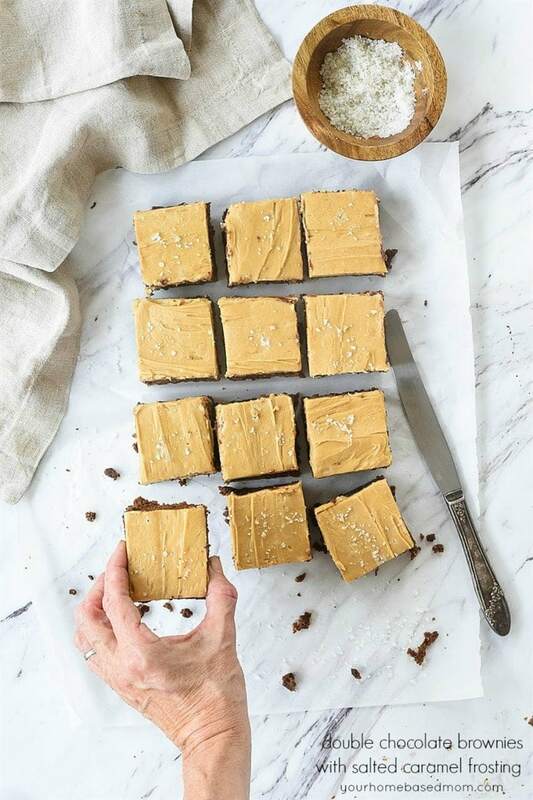 quick question – i tried these but my chocolate didn’t stick….did i wait too long to drizzle? did i maybe not use enough chocolate? I only used 2 blocks of almond bark….i love these flavors, help! i chilled them after i drizzled, is that not right? So sorry you are having a problem. So did the chocolate not stick or not set up? I have never had a problem with Almond Bark sticking or setting up so I’m a bit at a loss here??? The only thing I can think of is it something with the Almond Bark because I can’t think of any other reason why it wouldn’t set??? Almond Bark is meant to coat things so it should stick. Is there such as thing as defective Almond Bark :)? 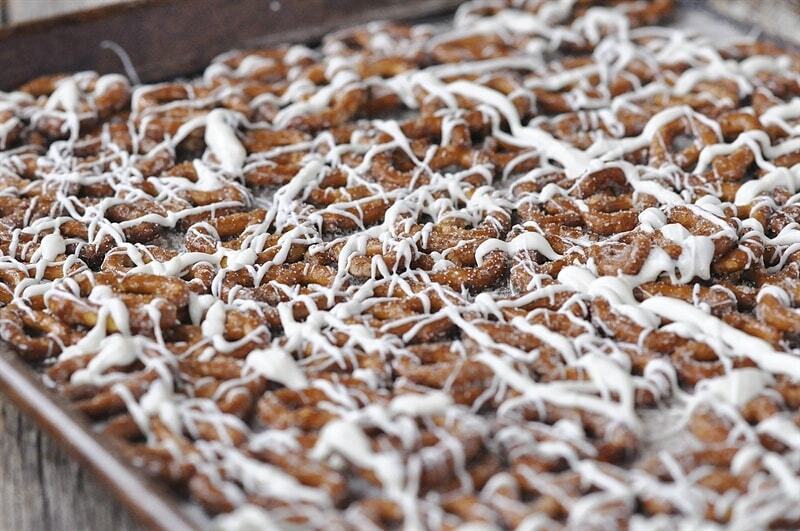 You can chill them after you drizzle them or just let it set up at room temperature. it set up but didn’t stick – i think maybe i didn’t use enough….i’m going to go home and melt some more and try to just re-coat everythign again b/c i loved the flavors. thanks! am going to try your fudge this weekend. Yum! Just made these this morning and I can’t stop eating them! You are amazing! 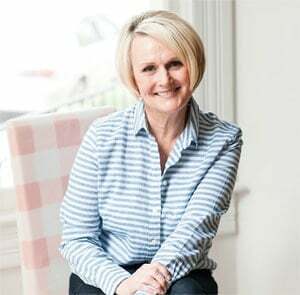 I have LOVED every recipe I’ve tried! Thank you! I need to put a warning on the recipe – Caution: Can be addictive!!! 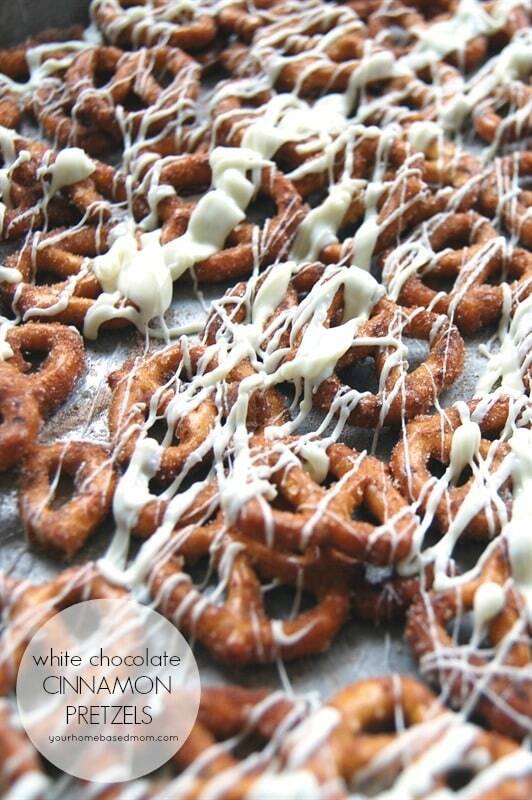 How far in advance can you make the white chocolate cinnamon pretzels? They will last several weeks if you keep them dry and in an airtight container. 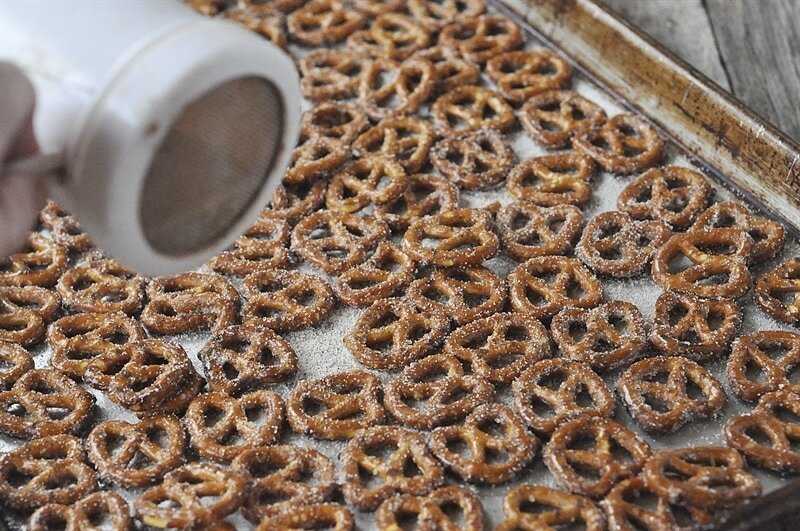 I’ve made these pretzels countless times since 2008. So love them! Loved these and I’m including a link in my blog to send people your way to see the recipe! You could try but I think that as to be put on something cold to harden up doesn’t it?? I haven’t used it so I’m not sure.